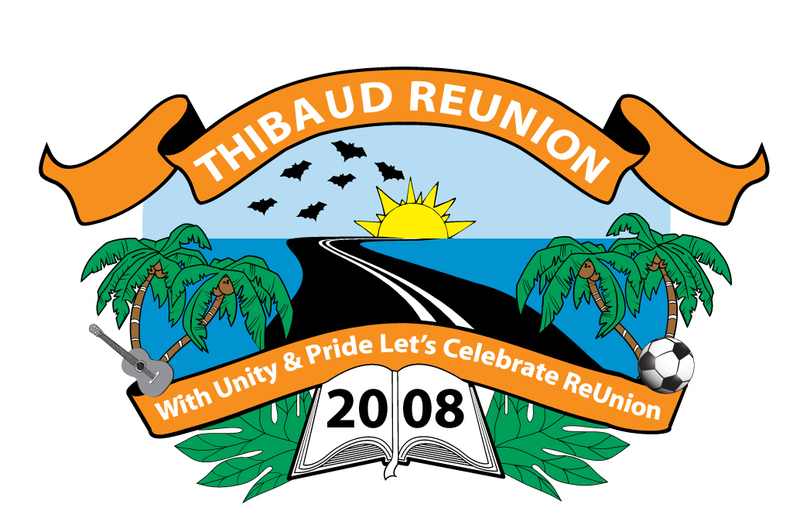 Hundreds of people decended upon the tiny village of Thibaud, on Sunday, February 3rd to mark the official launching of the Thibaud Reunion 2008 which will be held from December 19th – 30th this year. The event which was carried live on Kari FM and Marpin Television, was one of utter celebration and unity despite the initial heavy down pour of rain. The crowd was greeted by the warm and festive color of orange, which not only created a colour spectacular but also showed loyalty among the people of Thibaud. The celebration was held under a few tents at the Hugh Fabien’s Park and showcased Thibaud’s cultural rebirth, where the adults and children of the community presented two cultural dances that they had been working on in association with the ministry responsible for cultural development and sponsored by the Vieille Case Credit Union. Additionally, there were performances by the Thibaud Reunion Cheerleaders and Flagwavers, as well as the launching of The Miss Reunion pageants: Lisa Honore, Kendra Lovell, Jessica Nelson, Marsha Remie and Nerissa Thomas. Various members of committees throughout the diaspora, including Mrs. Cecillia Ettiene and John Bruney from South Florida, Charlotte Letang from Guadeloupe, Mrs. Matilda Gilbert from St. Croix, Mayma Massicot from New York and Leo Paul from Antigua conveyed well wishes and greetings from their committee members. The representatives spoke about the various projects they are working on, in addition to what type of fund raising activities they had been involved in. The crowd was addressed by the Prime Minister, the Honourable Roosevelt Skerrit, Mr. Herbert Charles, the National Reunion Committee Chairman, and Chair person of the Thibaud Village Council, Ms. Nicole Sambar. Mr. Skerrit reiterated how proud he was of the Thibaud Community for the effort they are making towards a successful reunion. He also mentioned that the initial infrastructure development plans which were already on the map for Thibaud will start the ground breaking phase immediately. These projects include the resurfacing of the roads, a park project and replacing the water system. 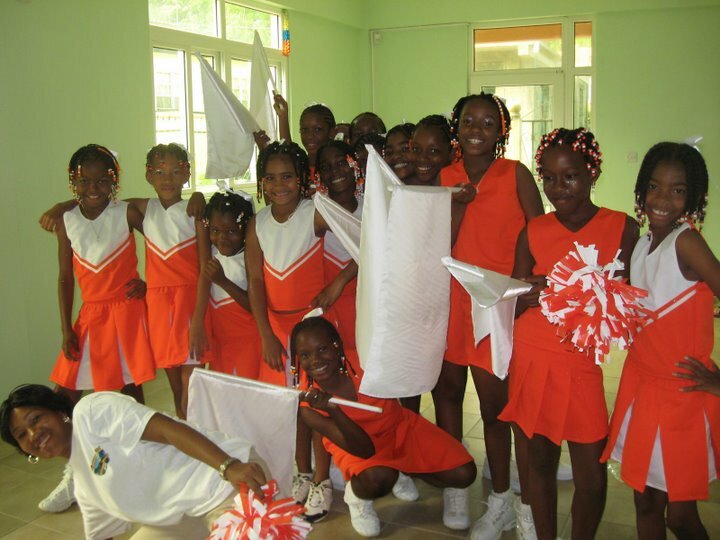 Mr. Charles mentioned that he was very happy to see the unity of the community and the coherence of the orange colour. Meanwhile Ms. Sambar welcomed everyone to Thibaud and mentioned the pledged support from the village council to do whatever it takes to make Thibaud Reunion splendid. The ceremony was cohosted by Emille Paben Serran and the cordinator of the Thibaud Reunion Mrs. Theresa Royer. The Prime Minister was presented with a plaque by the South Florida committee to commemorate his trip to Miami last year. The Reunion was officially launched by the Prime Minister, at the release of 30 balloons marking Dominica’s 30 years of independence and concluded with a show of fire works. DVDs of the event will be on sale soon. For more information contact Mrs. Theresa Royer at 767.445.5998 or Angeline Depooter at 767.448.4012. Thanks to Trevor Victor for an amazing job on the logo. The Sun reminds us that a new day is dawn. The Bats have been part of our community for generations. The winding road symbolizes the struggle we face as we journey into a brighter future. Coconut trees and breadfruit leaves represent our farmers toil and our rich agricultural heritage. The football and guitar depict the development of sports and culture in our community. The theme of the logo was submitted by Charmaine Letang. The launching was a huge success on every level. Mrs. Theresa Royer and her team did an EXCELLENT job, and we applaud them for their hard work. Words cannot express my personal experience in Thibaud. It was extremely satisfying. I was pleased to see the people unite, deserting their red and blue colours for orange. It was equally amazing to see the crowd of people from various parts of Dominica, come and help us celebrate. Thibaud you are blessed. We were graced with the presence of the reigning Miss Dominica, Miss Mara Walters, whose grandmother is from Thibaud as well as Miss Wob Dwiyet, Miss Tara Honore, whose mother Theresa "Sister" Honore is from Thibaud and is also on one of the Committee members. I have to say that the committee in Thibaud are efficiently organize. There were people incharge of specific tasks for the day, and they all made sure that their tasks were implemented flawlessly. The Thibaud community truly worked hard to make this launching the spectacular that it was. The Public Relations Committee would like to thank the following media people and organizations for assisting in the publicity of our launching. The Florida, New York and Thibaud committees are all having their Valentine fundraising events on Saturday, February 16th. Please support your groups, BUY TICKETS.